Pulau Weh is one of the best places in Indonesia and South-East Asia to go scuba diving. There are so many species of fish, coral and other marine animals. 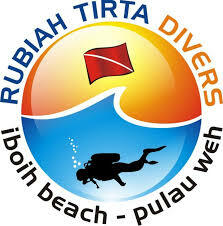 There are a few certified PADI dive shops around Pulau Weh island. 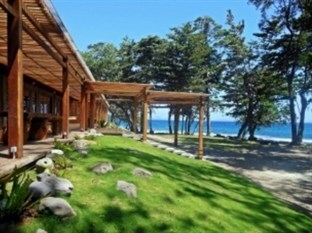 Some offer accommodation, others only arrange dive trips by boat to the best dive locations. The dive shops rent out all dive equipment and also offer the range of PADI dive courses including Open Water and Advance Open Water, Night Diving, Underwater Photography, Nitrox diving, Master diver. 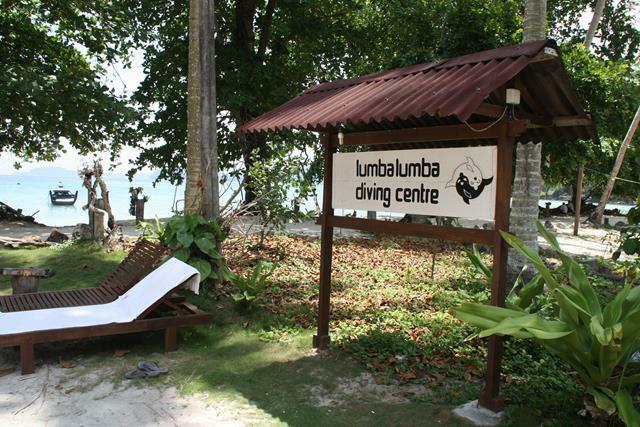 Gapang Beach has Lumba Lumba Dive Centre which has good quality accommodation and just a few minutes walk from your Bungalow down to the water. Opening soon in Gapang beach is a new dive shop called Monster Dive. With English and Spanish speaking qualified instructors. There are more than 30 good dive locations located around Pulau Weh, most are accessible by boat though some you can get to by swimming a few hundred meters from shore. The bay directly in front of Gapang Beach has some small coral reefs and an abundance of marine life. An easy swim from Gapang Beach, around 150 meters with the reef starting at around 5 meters and going down to around 26 meters. House reef has lots of Lion fish and Scorpion fish. You will find the brown and yellow coloured Leaf Scorpion fish and the small bi and tri coloured Lion fish. Other marine life found in the House Reef include reef octupus, large moray eels, frog fish, butterfly fish, hawksbill turtles, yellow and brown seahorses, Ornate Ghost Pipefish, Robust Pipefish, Kuhl's Stingray, garden eels and occasional you will see the banded sea snake. There are also a number of different types of nudibranches. Check out the jetty piers on the left of the bay for some butterfly fish and juvenile batfishes. House Reef is where Lumba Lumba do their PADI dive classes as it's calm waters and large sandy bottom areas make it safe area for beginners. Rubiah Utara is a small island just off the coast of Pulau Weh with a small channel around 25 meters deep. Around Rubiah Utara you will get to see some of the larger marine life like sharks, giant reef rays, schools of fusillers, trevalies, snapper and butterfly fish. The waters around Rubiah Utara are generally calm though at different times there can be a strong current especially closer to the surface. Seulako Cave is a popular dive spot located of the uninhabited island of Seulako which is around 500 meters off the coast of Pulau Weh. Seulako Cave is more a large rock overhang rather than a cave, some areas the overhang is only a meter so you are unable to dive into the cave so no special dive training is required. You need to get to Seulako Cave by boat which takes around 20 minutes from Gapang Beach. As you swim south along the coast of Seulako Island you find a carpet of soft coral with lots of Clown fish and then a slope of rocks which starts at around 6 meters and goes down around 30 meters. You will find an abundance of fish and maring life around the rock overhang including black, blue and yellow ribbon eels, octupus and cuttlefish. Also look out for some large sea turtles around this area. Currents are mild at depths below 6 - 8 meters. As you come up to the surface currents can get a bit strong. One of the more interesting dive spots around Pulau Weh is the underwater volcano, which is really just large cracks in the ocean floor with volcanic hot waters streaming out. The underwater volcano is located around 10 minutes by boat from Gapang Beach. The hot springs are located around around 6 meters so is an easy dive. The water coming out is boiling volcanic heated water coming from the depths of the earth. As it mixes with the sea water it is still very warm to the touch but at no point are you going to be boiled alive diving over the hot springs. There is not alot of sea life swiming around the hot waters and it is bare of any sea plants or coral. There are a few fish swimming around close to the warm water but most stay away. Around 5 minutes swim from the hot springs are some small reefs with plenty of sea life so you can mix your dive with investigating the cracks in the sea floor and check out the sea life. Look out for the curious couple puffer fish who will come and check you out and swim around with you to keep you company. Limbo Gapang is located just a few minutes by boat straight off Gapang Beach. 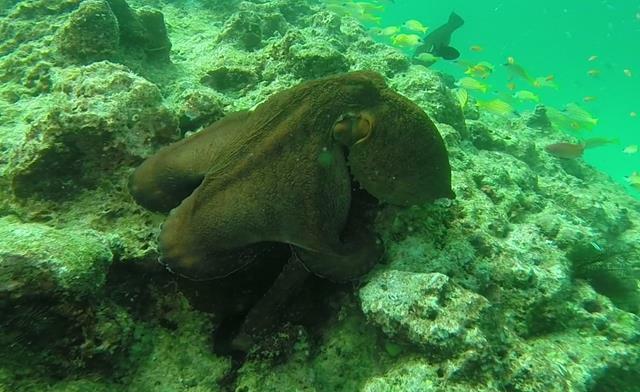 It is best to dive at Limbo Gapang in the afternoon as the sunlight lits up the area and many octupus come out from their hiding spot under the rocks. There is an abundance of nudibranches, flatworms and mushroom coral around the underwater hill which starts at 7 meters. 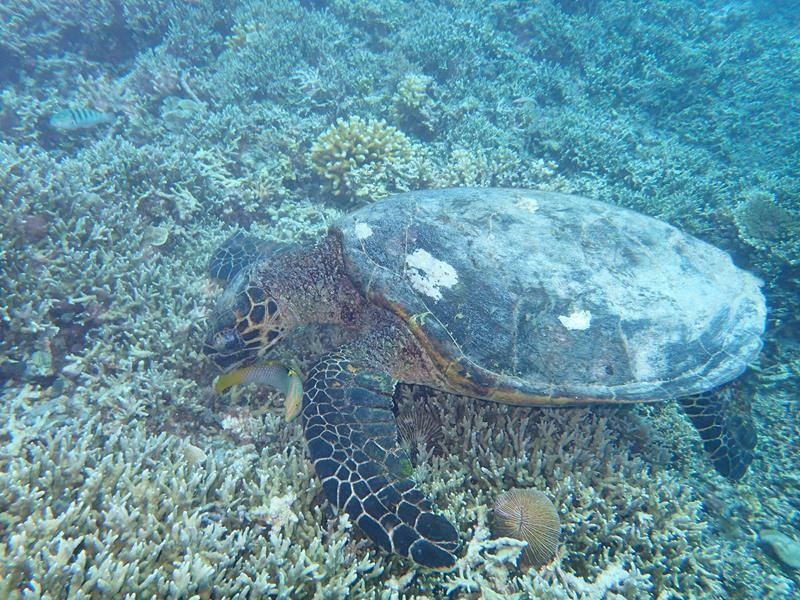 Sometimes the hawkbill turtles from Gapang's House reef visit this dive spot. Once you pop up at the end of your dive check out the afternoon sky all lit up just before sunset. 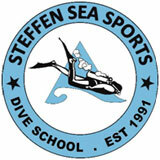 One of the best spots for beginner divers but all level of divers will enjoy this easy dive spot. In the afternoon there are plenty of travellies and schools of fusillers out hunting for their afternoon feed. 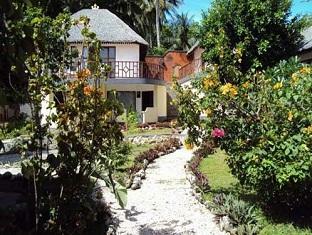 Batee Meuroron is located 5 minutes by boat from Gapang Beach. Usually calm which is good for beginners but often a strong current can pass through this area. The rock outcrop is a great place to see giant reef rays and other stingrays, turtles, a variety of moral eels and schools of black snappers at around 5 - 6 meters depth. The Sophie Rickmers is a 134m long cargo steam ship built by the German's in 1920. The Sophie Rickmers was one of 5 ships confiscated by the British around the waters of Pulau Weh. When the British tried to board the Sophie Rickmers the crew blew holes in the boat sinking it on 1st May 1940. The ship wreck is an impressive dive spot for advanced divers. The wheelhouse of the boat is located at 37 meters, the deck is at 45 meters and the bottom of the boat at 55 meters. As well as the impressive ship wreck to explore you will find lots of fish at this dive spot including giant groupers, giant morays and giant trevallies and some black spot angelfish. Pantee Peunateung meaning terraced riced field in the local Achense language, is a deep dive sport for intermediate and advanced divers only. This is one of the best dive spots to see sharks. 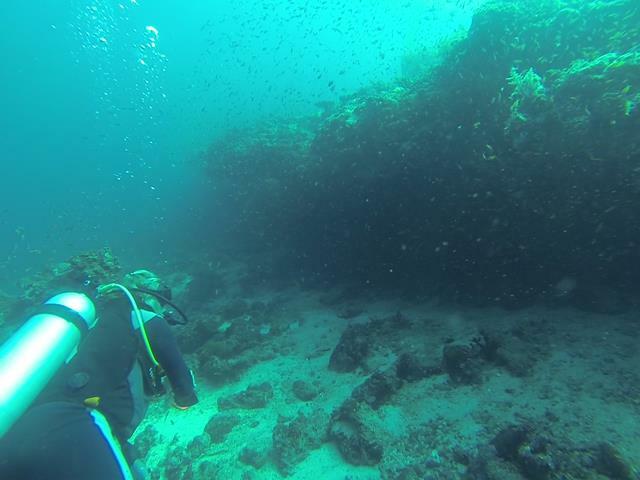 The dive area starts at around 30 meters with a vertical rock drop off which goes down as far as 70 meters. Where there is a strong swell at surface area the dive depth can change very quickly. The reef at Pantee Peunateung runs North to South and is a good place to spot schools of barracuda, black tip reef sharks, white tip reef sharks and grey reef sharks. When you are depth make sure you check to look up as you will often see eagle rays and manta rays gliding above you closer to the surface. Closer to the top of the rock drop off you have the chance of seeing octupus, moray eels and nudibranches and lobster. 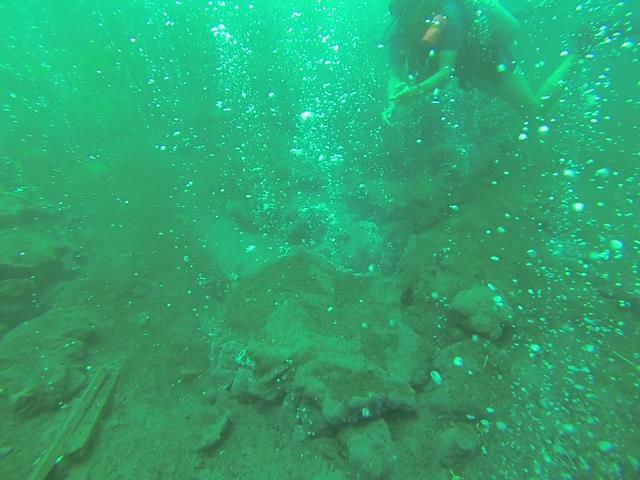 The rocks at this dive spot form a ridge from the surface to a depth of around 40 meters. There are large rock formations around this dive spot with lots of places you can swim through between the rocks with lots of fish hiding around this areas. At a depth of 18 meters there is a large sandy bottom area with hundreds of garden eels bobbing around in the current. Usually great visibility at this dive spot especially on a nice sunny day. Lhong Angen and Pantee Gua are easy dive spots located on the Western side of Pulau Weh. Both reefs can be reached by a short swim from the shore. 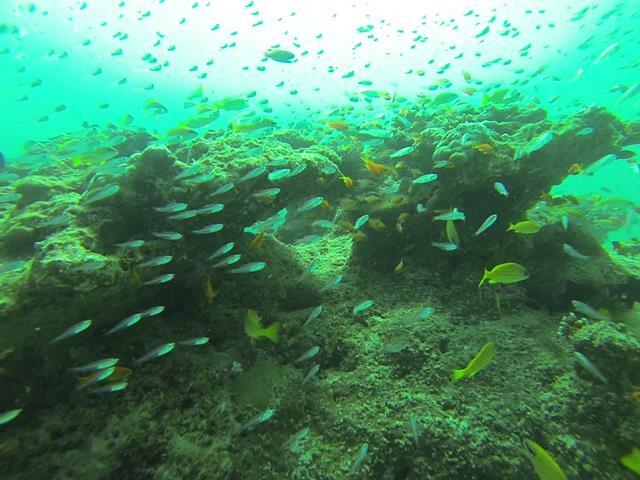 Good visibility and lots of marine life to be seen at these relatively new dive locations. 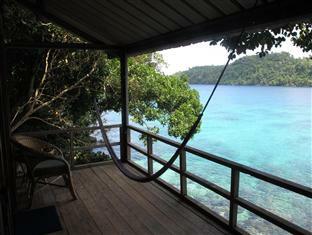 Batee Meduro is located at the southern end of Pulau Weh and is reached by boat. Due to the distance the boat trips usually take a day with 2 dives and lunch on board the boat between dives. With some deep dive areas there is a good chance of seeing a variety of sharks including Thresher sharks and reef sharks. You can also see the large manta rays and eagle rays. Although this is an experienced dive spot there is a more shallow area on the plateau side which is suitable for less experience divers. 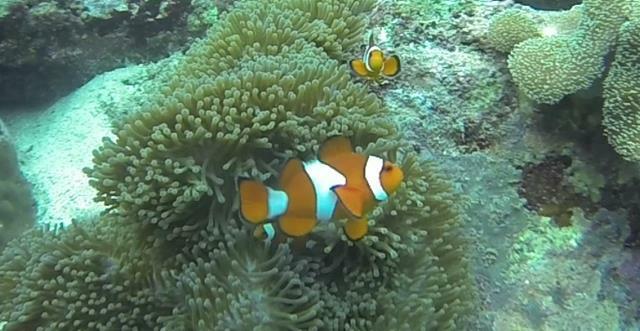 Check out some more photos of the marine life around Pulau Weh.